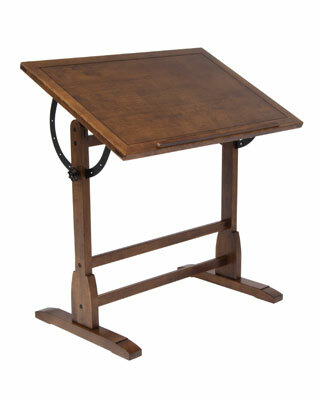 The classic design of the Vintage Drafting Table is reminiscent of turn-of-the-century furnishings. 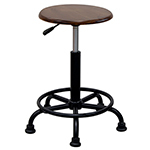 It features ample workspace on elegantly distressed wood with a built-in pencil groove. The antique finished surface top adjusts in angle from flat to 80 degrees for versatility and sits on a solid wood frame for durability.